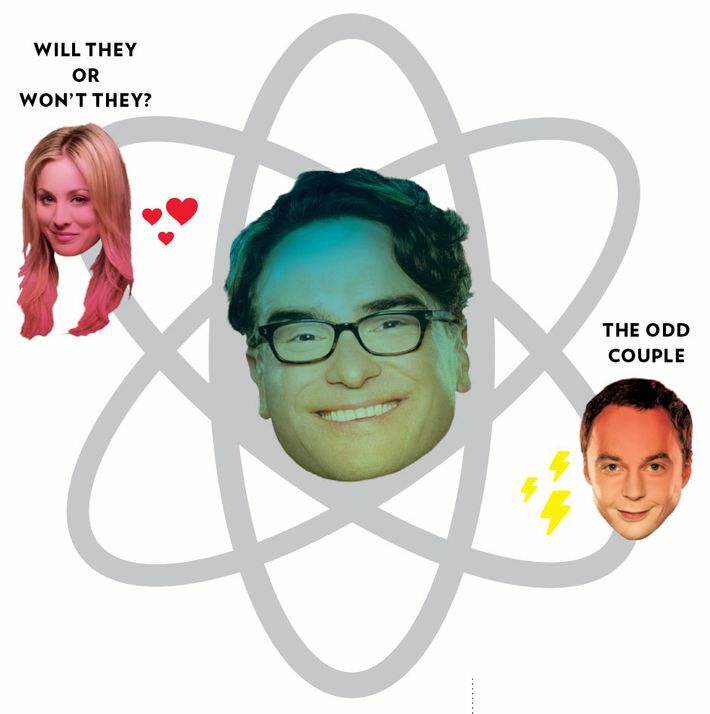 This piece was originally published on May 4, 2014, but it may be useful before tonight’s Big Bang Theory season premiere. 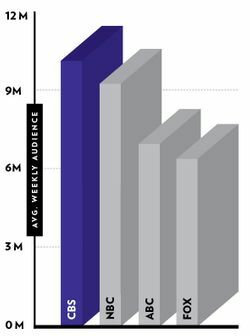 TV shows are not supposed to be this popular, not in the age of DVRs, Netflix, and cord-cutting. Nevertheless, CBS’s The Big Bang Theory—an old-fashioned multi-camera comedy about four nerdy men and three women who tolerate them—is not only television’s No. 1 show but also the highest-rated sitcom since Friends signed off in 2004. Here’s why. CBS is TV’s No. 1 network. “They don’t take huge risks, but viewers know what to expect,” Vebber says. “Other networks reset in the summer, but CBS stays consistent.” Since Big Bang moved to its current time slot in 2010, it’s aired there nearly every week. Among comedies, ABC’s Modern Family is The Big Bang Theory’s nearest rival. Its audience of 14.5 million viewers is nearly 10 million fewer than Big Bang’s. The demos: The Big Bang Theory is a true 8-to-80 hit: Factoring out sports, it dominates a wide variety of demographic groups. It’s No. 1 with teens 12–17, adults 18–34, adults 18–49, and adults 25–54. 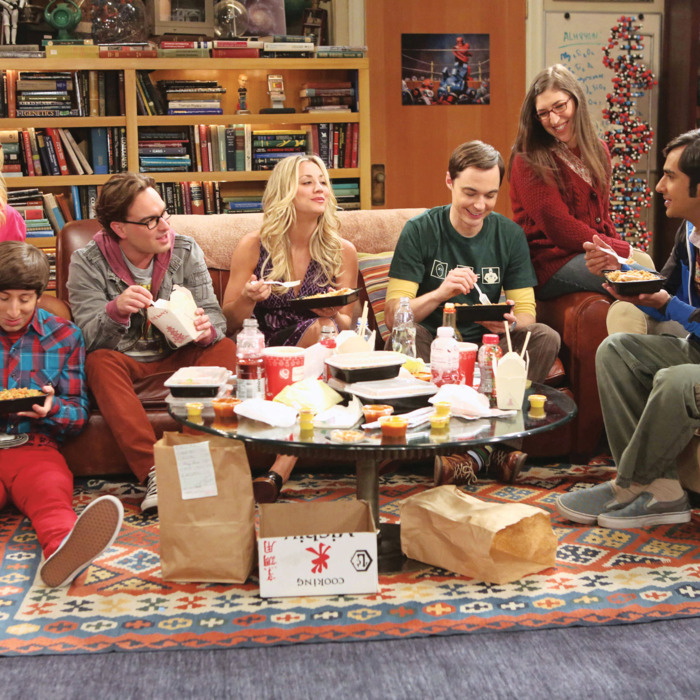 The number of people who watched at least six minutes of The Big Bang Theory this season: 84.2 million. Big Bang is a multi-camera sitcom, shot with a studio audience, in a time of mostly single-camera shows. “It’s supply and demand,” says Weinman. “There’s a high demand for multi-camera—it’s intimate and creates the illusion that there’s nothing between you and the characters—and right now the supply is low. Fans of Seinfeld and Friends, what do they have besides Big Bang?” CBS reruns of Big Bang reach more viewers than new episodes of single-cam shows Parks and Recreation, Community, and The Mindy Project combined. “Stories should be about these characters trying to make it through the day. The obstacles in [their] path—that’s where the comedy comes from. You can start any story with the seven deadly sins. We all fall prey to those.” – Big Bang co-creator Lorre, the man behind seven sitcoms (including Two and a Half Men and Mike & Molly) on his secret. After TBS started airing episodes in syndication in 2011, Big Bang “just exploded even more,” says Vebber. 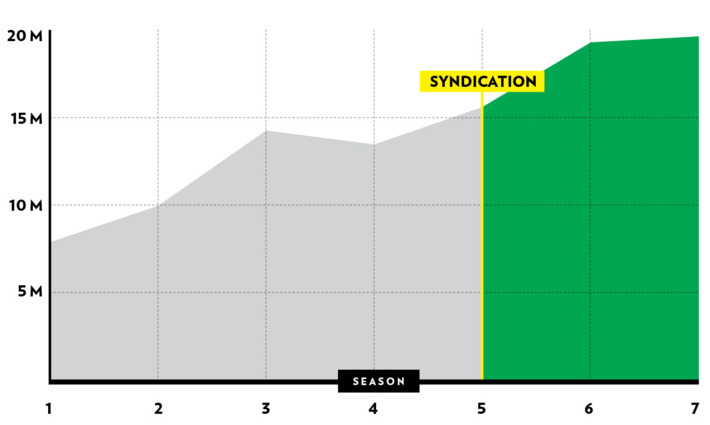 In the first 12 weeks of syndication, the show’s broadcast ratings rose 21 percent. This is likely due to TBS’s relentless promotion and generous scheduling—the cable network airs Big Bang in blocks five days a week. The pace of Big Bang is not too fast but not too slow, either, somewhere between the dry humor of Curb Your Enthusiasm and the manic comedy of 30 Rock. We compared the rate of jokes per minute for each show’s highest-rated episode. Like Friends, The Office, and countless others, Big Bang employs a will-they-or-won’t-they relationship to increase its story options (or at least it did, until Leonard and Penny finally got together in season three). These relationships are a perpetual-motion machine for plot, because they give you “a suspenseful take on everyday life,” says Phoef Sutton, producer and writer on Cheers, which had Sam and Diane. 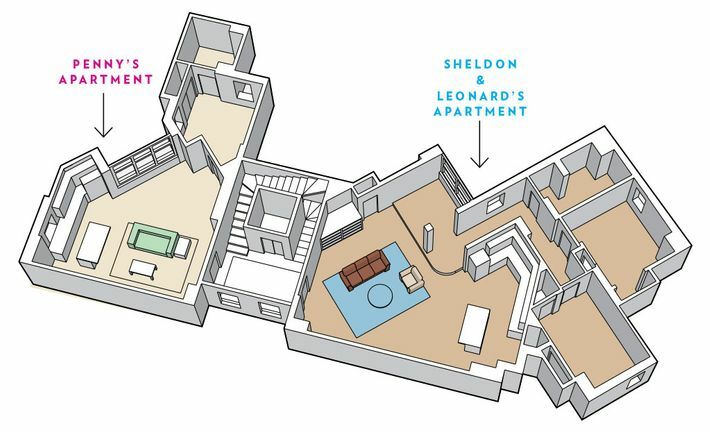 “In a comedy, getting together with somebody is the main thing in life that changes.” Big Bang also has an odd-couple relationship—another sitcom standby—between mild-mannered Leonard and the egomaniacal Sheldon. “When you have two characters with opposite points of view, they can fight in a really endearing way,” says Sutton.